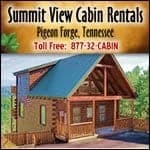 In 2002, the greatest thing to happen to tourism in Sevier County since Dollywood opening came to pass. That was the year that cousins Eric and Travis Bradley founded Bradley Communications Inc. and first published the Smoky Mountain Navigator Magazine… and marketing in the Smokies has not been the same since. With a focus on content and offering a true area guide to the Smokies, these two young entrepreneurs broke the mold of tourist publications by putting an emphasis on the National Park and other interesting content that had previously went ignored. Their simple, common sense approach to business has helped to grow the Navigator into the largest tourist publication in the area, and the most useful source for those vacationing in the smokies. Bradley Communications is a locally owned and operated company that is located in the heart of the Smokies in Sevierville Tennessee. They have grown to offer numerous other services including graphic design, printing and internet marketing, such as this wonderful website that you are currently on. If you would like to inquire about advertising in print or online, graphic design services, or our extensive printing services, simply fill out our contact form and someone will respond as soon as possible.